This German Hackamore with Black Rubber Noseband is made of only exceptional quality materials. When buying a Horse Hackamore from us we are confident that you will be happy with our products. 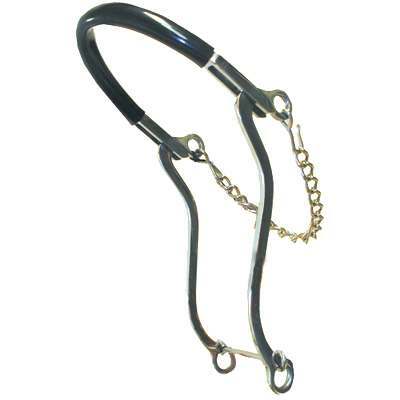 This German Hackamore comes with a Black Rubber Noseband and stainless steel shanks that measure 8 1/2'' in size. This item will also come with a rubber coated noseband for extra durability. As horse enthusiasts ourselves our number one priority is to offer our customers a Hackamore which we believe are made to last and available at affordable prices.